Warning : Gross/Mature/ Controversial Content. Parents are requested to read this without the knowledge of their children. 1) You don't realise what you'd got till it is gone. This is a very wonderful Quote written by a person who must have been through a tough time in his/her relationship. If this quote is used appropriately, it sounds good. But why does this quote come into Chronicwriter's mind every time he makes his way out of the Loo? I am not cursing my readers in Greek or Latin. 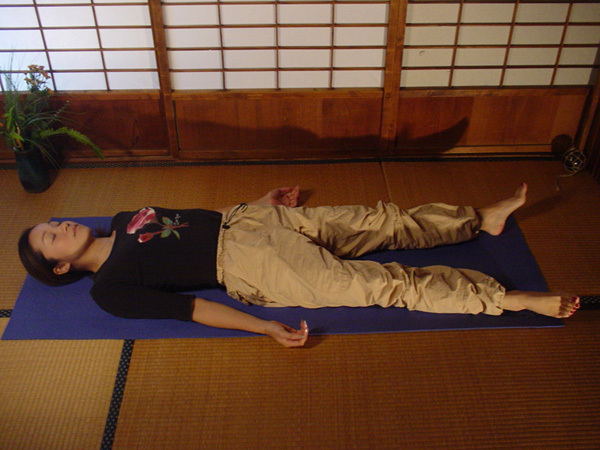 Baddha Konasana is a Yoga Pose. This asana is a beneficial pose for easy childbirth and it is strongly advocated for pregnant women. Click this link to see a model performing Baddha Konasana [link]. Chronicwriter was forced to do Yoga during his MBA days because Yoga was a compulsory activity in his curriculum. At first, he hated practising asanas. But when he soon learnt that there are asanas that were according to his liking, he started performing asanas with great interest. Two asanas caught his attention and he would spend one hour performing these two asanas. Soon he mastered these two asanas and became the best Yoga student in college. One day he saw his friend (a babe) performing a new asana. Later he came to know that it was Baddha Konasana. Though he knew that this particular asana was advocated mainly for women, he still wanted to master it. Soon he became an expert in it too. Now he doesn't use a nail cutter to cut his toe nails. He can bite his toe nails while doing Baddha Konasana. The multi variant uses of Asana!!! If you have discovered any such special usage of any other asana, please feel free to add it in the comments section. When my 4th grade History teacher taught me about the former prime minister of India -Morarji Desai, she also mentioned that he was a practitioner of uropath. Uropath is otherwise called as urine therapy. A uropath practioner is one who drinks his/her own urine for health benefits.I immediately tried tried the uropath effect in the year 1991. But I disliked the taste and stopped becoming an uropath addict. Later in my life when I was 17 years old, I had my first intervention with alcohol (Kalyani Beer). Kalyani beer and urine have a similar taste. Now if you have tasted beer, you would have known how urine would taste like. I just realised that the above three inappropriate instances are from my personal experiences. I would like to add two more irrelevant drama sequences enacted by Politicians of our country to garner media attention. The next two instances have been taken from an e-mail I received from a friend of mine. The political drama reached new heights when the Chief minister of Tamilnadu "Dr. Karunanidhi" entered the Guinness book of world records when he Fasted for a social cause. The fasting started at 10 a.m (after breakfast) and ended at 11.30 a.m (before brunch). The fasting also took place in a public place. [link] He had air-coolers around him. He was also accompanied by his two wives who fasted too ( A modern day version of sati). Sometimes right things appear as wrong things in our eye sight; sometimes wrong things appear as right things. If we have a sound discerning mind, no one can fool us. Cracker of a post, Chriz! Kudos! The moment you mentioned Yoga, I expected shavaasanaa! :P. Tell me about someone who doesn't like it. Uropathy-alcohol-Kalyani Beer! Yenna linearity, Chriz! kashtagaalam, as some would say, but hilarious! rotfl. The karunanidhi thingie !! Incorrigible... I had mentioned in one of my posts to !! the first thing I observed when the picture of Karunanidhi fasting was shown on TV was the air coolers. And then later, his speech!!! The first point was too good man! ha ha... great post.uropath and kalyani beer... no idea.. love the asanas, would try out myself. Karunanidhi is ultimate :) you rock Chriz; funny post.. but Paris Hilton you are obsessed by her. lol, the Karunanidhi episode.. it was the worst ever drama I've ever seen from a politician. Shame is the one word which has evaporated from thses people's dictionary. heheheeh! LOVED THE POST...and i did not know karunanidhi has 2 wives??? now polygamy is not banned for him? btw, liked the asans too! liked ur take on Rahul Gandhi and KK... :-) wat chriz, talking abt current affairs these days..
unlike the above comments said, im disappinted dude. i expected shilpa doin asanas. Second one is daant asana...a gesture that we show while reading them! ""Sometimes right things appear as wrong things in our eye sight; sometimes wrong things appear as right things. If we have a sound discerning mind, no one can fool us. """............I guess I am fooled once again by you. It reminded me of a joke. Swami Ramdev to disciple: All the man in this world are our brothers. And all the females our sister. We should not see them with bad eye. Disciple: Do one thing. Take my Phallus, it will help you to make some medicine. Its of no use to me then! Interesting. Do you know about these yoga books? hey! immensely enjoyed readin' this one...have a read a few of urs earlier too...good stuff!!! hey...the last two contents were the topics of my first ever blog...glad to see someone else thinkin in the same way as i am. heh..n ure exchange of humour with serious issues is excellent.The firt 3 matters were realy hilarious and the laast 2 gave something to think of. :D Shav aasan is my hot favourite in the yoga class. he he the take on our DMK thalaivar was lol :)!.... yur sleep is the aasana? ithu yelam konjam over ah ila?? yenga intha vetti vilambaram :)! rahul gandhi is just a pompous man as anyone else. and Dr. Karunanidhi is one of the biggest specimen of his own type. The 2 aasanas that you mastered -- BAAAHAHAHAHHAHAA! Chriz this post was a absolute cracker...hilarious in every way..Kudos dude...gr8 post yet again..